Fertilizer is an investment. A big one. 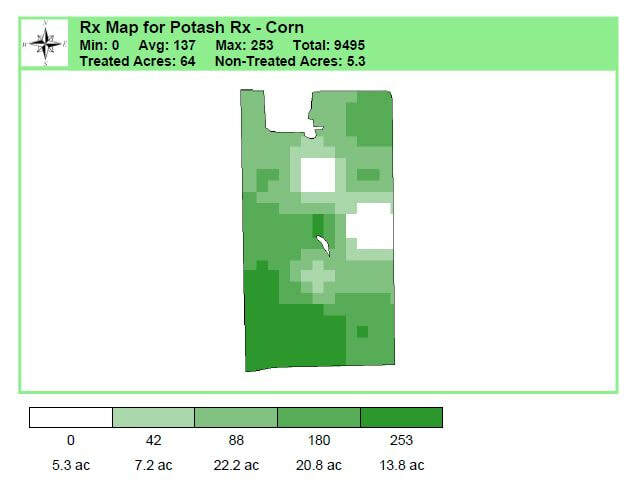 Variable Rate Technology allows fertilizer to be placed where it's needed, at an appropriate rate for optimal crop production. It's important to provide the crop what it needs, without paying for what it doesn't. Though this is not an exact science, there is research that aids in decision-making. We use expert agronomic knowledge and ISU research to create fertilizer recommendations that meet yield goals. But these are only recommendations. As with all of our services, you are in the driver's seat when it comes to fertilizer recommendations. We have the flexibility to adjust as necessary. Since we don't sell chemicals, seed, or other inputs, we have no hidden motives or agenda, giving you a higher level of confidence in our independent and unbiased Smart Fertilizer Recommendations.